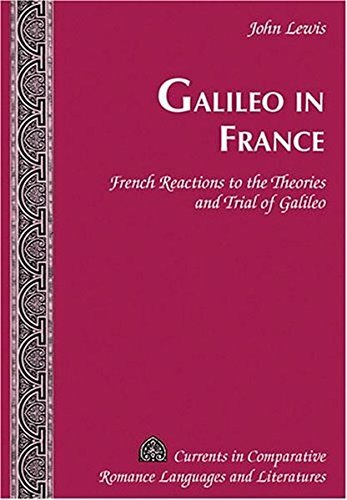 Galileo’s astronomical and mechanical theories, and his subsequent trial for heresy, profoundly impacted the development of European science, philosophy, and theology, especially in seventeenth-century France, where it shaped the thought of some of its most important writers. France’s long tradition of Gallican independence from Rome allowed Copernican and Galilean ideas to be discussed and promoted more freely than elsewhere. Placing those ideas in a national context, this book’s individual chapters are devoted to tracing their development in the writings of Mersenne, Gassendi, Peiresc, and Descartes; similarly, resistance to Galilean ideas is traced through the writings of Froidmont, Morin, and the work of Cassini at the recently established Observatoire de Paris.